causing severe injury or death. 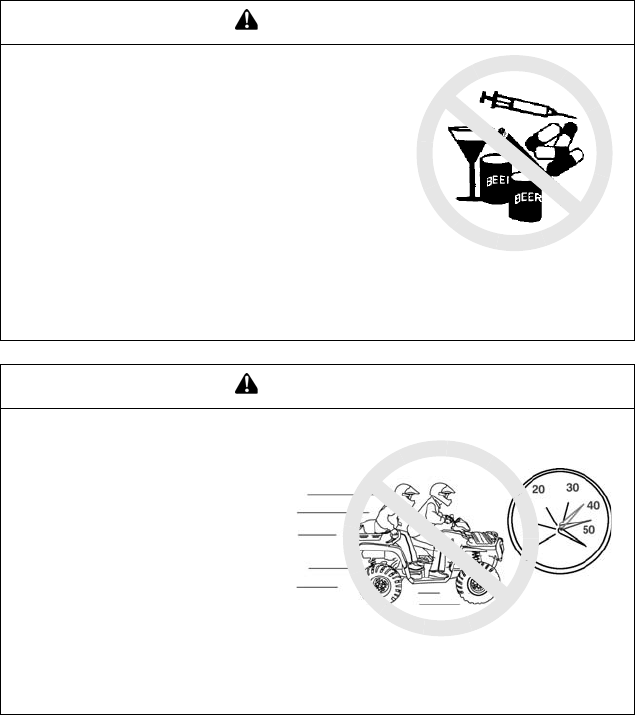 Never consume alcohol or drugs before or while operating an ATV. passenger&apos;s skills, and operating conditions.